WWF marked World Ranger Day with the start of its new Cards4Tigers action, a way of extending support and appreciation to rangers working to stop wildlife crime across the world’s 12 remaining tiger landscapes. Kuala Lumpur, Malaysia - WWF marked World Ranger Day with the start of its new Cards4Tigers action, a way of extending support and appreciation to rangers working to stop wildlife crime across the world’s 12 remaining tiger landscapes. From now until June 2013, people everywhere can join WWF in telling rangers we care and support their work by sending them postcards. Visit www.panda.org/tigers/cards4tigers for more information. The Thin Green Line Foundation says 1,000 rangers have lost their lives in the line of duty over the past decade – one every four days. Meanwhile, the International Ranger Foundation reports that in the past 12 months, at least 60 rangers have died while on the job. Over half of these deaths have been classified as homicides. Also known as forest guards, park wardens and field enforcement officers, many rangers work under harsh conditions to keep wild tigers and other animals safe. They are among the lowest paid of all government employees, and often spend significant amounts of time away from their families. Often underequipped and unarmed, rangers are the first line of defense against wildlife crime. Poaching has become highly organized with armed criminal gangs, and many rangers face death threats and fear for their family’s safety. 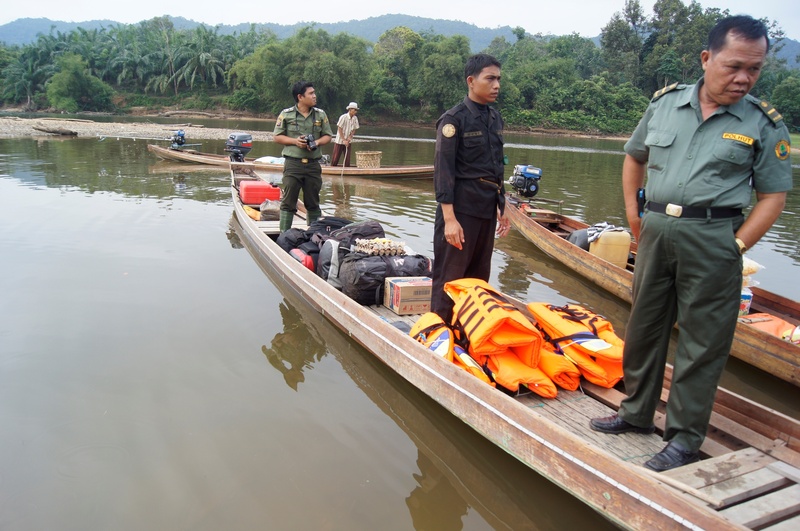 A survey undertaken by WWF in April shows that many of the protected areas tiger rangers work in do not have the resources or capacity to effectively protect tigers. For example, WWF field personnel in 41 of 63 tiger protected areas felt there were not enough protection staff available to offer the necessary coverage to achieve Zero Poaching. In Malaysia’s Royal Belum State Park, considerable poaching activity has been documented. Although occupying an area of over 1,000 km2, the park only has 17 enforcement staff. Contrasting this is protected areas such as Kaziranga Tiger Reserve in India, with approximately 800 enforcement staff for about 860 km2, they have been able to stem poaching activity. Nepal has also seen a great deal of success in stemming wildlife crime and celebrated 2011 as a Zero Poaching year for rhinos, largely attributed to the addition of 44 new range posts across several protected areas. This has also contributed to the increase in the wild tiger population in the country’s largest park, Bardia National Park, as reported by Nepal’s Department of National Park and Wildlife Conservation on Global Tiger Day, 29 July 2012. 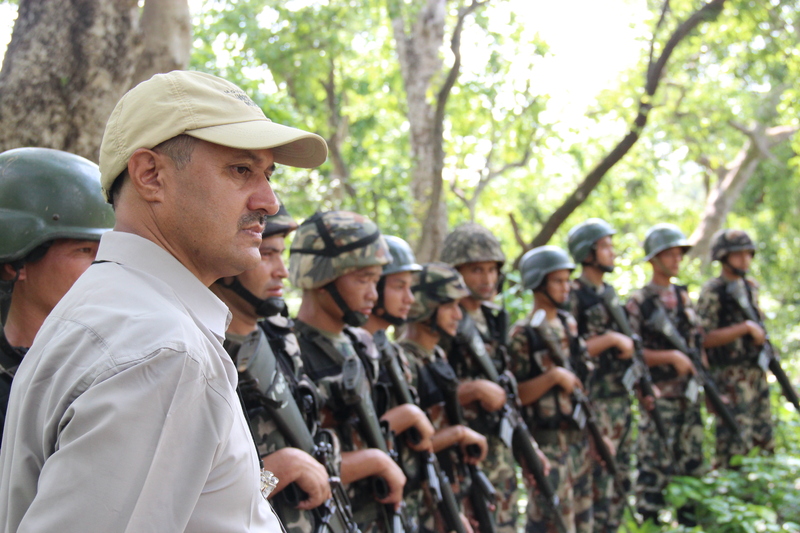 Rangers in Nepal prepare for a training exercise. Tell tiger rangers you care, send a postcard today!